NEW: Earn Avios with a small business Mastercard – and a special extra sign-up bonus for HFP readers! At last! After many years of having Head for Points readers email me in search of a good travel rewards payment card to use for their business purchases, we finally have something. You can now earn Avios with a small business Mastercard. And we negotiated a special extra sign-up bonus for all Head for Points readers if you use our promo code when you apply! The Capital Club card, from Capital on Tap. Interest rate information: Your interest rate is based on your business profile and can be as low as 9.9% APR. The standard interest rate for marketing purposes is 39.4% APR. You can find full details on their website here. Read on first, however, because there is a special higher sign up bonus for HFP readers. What does the Capital Club card offer? The Capital Club card is aimed at small businesses and sole traders. 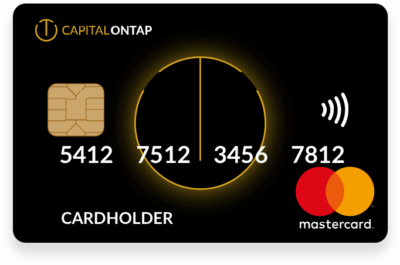 Whilst you may not have heard of Capital on Tap, it already has 50,000 customers for its existing ‘no rewards’ payment card. This is their first move into the rewards market. The card has an annual fee of £99. This is obviously tax deductible as a business expense. The maximum credit limit on offer is £50,000. And an extra bonus for Head for Points readers! If you use promo code headforpoints when signing up, you will receive an additional 500 Capital on Tap points. This is worth an additional 250 Avios. The site will still show 10,000 Capital on Tap points as your bonus but the extra 500 will be added separately. If there are any problems, let me know and I can quickly chase it up. if you are a VAT registered sole trader then you should be eligible. Applicants must not have a CCJ against themselves or their business in the past 12 months. Whilst it doesn’t make any day to day difference in how you use the card, Capital Club is not a credit card. It is structured as a prepaid Mastercard which is funded by Capital on Tap. As far as I can see this doesn’t make any difference to your legal rights, as Section 75 protection does not apply to business credit cards. In the event of any disputes over purchases, you request a Mastercard chargeback. How does the Capital on Tap Capital Club card compare? Some sole traders, including myself, use a personal credit card for their business expenses. A lot of self employed people – or their accountants – are not happy doing this, however, and it is clearly not sensible to give personal credit cards to your staff. You need a dedicated business payment card in these circumstances. Until now, if you wanted to earn rewards from a small business payment card you were reliant on American Express Business Gold or American Express Business Platinum. These are good products but obviously have issues over Amex acceptance, especially with small suppliers. The Capital on Tap Capital Club Mastercard is a small business card that can be used everywhere that Mastercard is accepted. You need to look at the maths based on what you spend, including how much you spend in foreign currencies (the card has no FX fees). The £99 annual fee is a deductible expense so the net cost to you will be lower. In Year 1 you are getting a sign-up bonus of 10,000 Capital on Tap points, which is worth 5,000 Avios. Day to day you are collecting 0.5 Avios (1 Capital on Tap point) per £1 spent. If you and your staff have a high level of business expenditure then this could work out very nicely for you. Remember that you can have up to 15 free supplementary cards. As far as I know, there is no other Visa or Mastercard payment card aimed at small businesses which offers decent travel rewards. HMRC accepts Capital on Tap! Here is one good reason to get the card. Based on early feedback from our readers, HMRC accepts Capital on Tap cards to make tax payments with no surcharge. This is because HMRC treats it as a personal debit card. This means that you can earn Avios on all of your PAYE, VAT, corporation tax and indeed personal tax payments. Capital on Tap points can be converted into cashback as well as Avios. As 2 points gets you 1 Avios or 1p cashback, you are ‘paying’ 1p per point for your Avios. If you don’t value Avios at more than 1p (and in most scenarios you can get more than 1p for them as this article shows) then take your Capital on Tap points as cashback instead. Remember to use our Capital on Tap promo code when you apply! If the Capital on Tap Capital Club card sounds interesting for your business, you can find out more and apply on their website here. Remember to add promo code headforpoints to receive the extra 500 points as a sign-up bonus. Rob can you chase for me Curve Rewards? It has been “temporarily unavailable” for at least 4 weeks now. Same here.. no AMEX and no curve rewards. Apparently it has been out for 3 months for those on the Amex beta. Thank you Rob – I was not on the amex beta though. Neither was I. However, what this means is that is seems to be an app issue, because I could still spend Rewards credit (not on the Amex beta) whilst those on the beta were blocked. Correct – they’re apparently still accruing but unable to spend or see details. Great to see a new entrant in the rewards and SMe cards market. Thanks for highlighting Rob. pre-paid card = some acceptance problems? I’m assuming no way to link this to Curve for that reason. Cash back *or* points? If the cash back would otherwise accrue to the business then HMRC/my accountant might see any Avios as a taxable perk valued at 1p each. That was my thought – cash may be taxable, Avios are not. I’m a bit fuzzy on the exact boundary, but section 75 protection can cover some business transactions. A sole trader using a consumer credit card likely would be. On a personal card, yes – although the card company could dispute whether it was a personal purchase. NB though that many ‘business’ credit cards (e.g. Barclaycard) ones are issued under the consumer credit act. Sole traders and small partnerships (no more than three partners) fall within the definition of consumer under the Consumer Credit Act and must therefore be issued with a regulated credit agreement and have S75 protection where it applies. Depends how many you need. It’s easy to pick up Avios @0.8p & some @(say) 0.5p & some @free – but these opportunities are often very limited in terms of time available and number available. Is this a prepaid credit card or pre paid debit card? If the former then HMRC wouldn’t accept, if the latter I would expect the same level of acceptance as Curve. Doesn’t matter because it is a Business card with full interchange fees so not worth using with HMRC. It makes a big difference as to If it’s a credit or debit card. There are organisations (other than HMRC) that accept debit card paymentes and some that accept credit and debit card payments. Pre paid debit card. HMRC accepts it fine without charges. Is this card the same but without the secondary card in the background? Sounds good – what are the ‘size of business’ criteria? Rob – are you swapping your Amex Plat for this? No. Why would I? 1 point per £1 AND more importantly I can write off the Plat fee. But I am cool about using personal cards for business. I know that many people are not. Many accountants are not, too – they’ll whack the annual fee on your Director’s Loan account and slug you with S455 tax. I was given a company card … “as it doesn’t seem fair I have to use my own!!!) Tried to educate my MD but he just doesn’t get it. As far as I’m concerned the only type of company credit card I’d be prepared to have is one where the company settles the monthly card bill directly even if I have to list why each expense. Had too many corporate cards where the company isn’t settling expenses quickly enough so I have to pay the bill off before I can get a claim paid. Also watch out check t’s and c’s and suggest you don’t take the card if they make you jointly liable. I had a friend whose employer folded and his colleagues were pursued by the card company to settle card bills the company was no longer able to reimburse them, as well as losing their job. No company accountant is going to continue asking why you won’t take a corporate card if you quote the presence of that clause as the reason for your concern. Most of them have it I think. I use personal credit cards for business expenses. My accountant is fine with it. The cards I use for business expenses I never put any personal purchases through and always ensure they are zero balance at the end of the year. Good point. But only profit is taxable. So I guess it’s 1 avios for personal use or 1p towards business travel. I checked with them – cash withdrawals don’t earn the capital points (to turn into Avios) and you start to pay interest on the withdrawal immediately (pretty standard) but there is no access fee on top for using the cash machine. OT: IC Bora Bora appears to have zero reward night availability…all 2019 and beyond. Is this typical…?! Yes. I was monitoring it for a while as I wanted to go, but then changed my plans. They probably have one or two rooms and as soon as they are released they are taken. I think people book one night at the time. Yes, you can never get rooms there. I looked on and off for a year and then found a flyertalk post all about other people’s experiences (the same). Basically, there’s a golden minute in the middle of the night once a week where they release a few rooms at a time and even then you’re unlikely to get all you want in the one property. In the end I came to the view that life was simply too short. Out of curiosity, try searching for one adult. I found recently that IHG reward rooms were available in Paris for a single adult but the exact same rooms were not available for a couple. What they would do about if you had a second person in the room with you I don’t know. thanks all. Sounds like it’s misleading to sell this as a redemption option at all. Shame. Good to see a new entrant but slightly underwhelming offer. Santander Business Credit Card offers 1% cash back with £30 annual fee. I’ve got a Santander business account for my Ltd. I’ve not looked into a corporate card but now you’ve mentioned this I don’t have to. Application underway, Thanks. any good? free? proper online banking? recommend them? We got 18 months free with Santander for ltd co as we are 123 acct holders. I’ve been impressed with Santander. It’s a low bar of high street banks but I’ve found them to be very approachable and willing to assist. That said, I’ve not asked for anything they may say no to (ie debt). As per Genghis’s comment, mine came with 18mths free banking and access to a branch network was important to me. 18 months free is a nice sweetener, but 18 months soon pass, then it’s £7.50 p/m? It will be a while before my branch disappears and a small fee doesnt greatly concern me provided the service is there. But if events change then so will my mind. I have the ‘basic’ curve card. It has daily spend limits. My tax will be more than 4000 pounds. Can I pay in parts (using the same reference number) on hmrc every day to make up the total so can cash in on rewards? Yes, having done this, multiples are absolutely fine. They reserve the right to decline multiples above some unspecified number, but I’ve never hit that. Why are you apologising? It’s a perfectly reasonable question and there is no way of checking if it has been asked before. You could also ask Curve to up your limit explaining the reason. HMRC payments are a legitimate use of the card. Definitely happy to see a new entrant to the market here, but they’ve not made it attractive enough for me to sign up our 8 person company up. We’d need either a way to export transactions in a standard format (csv/qif/etc) or an automatic bank feed into Xero. I’d also need to be sure that they clearly indicate which person made which transaction. I’m trying this with two of us to start with so I’ll see what the reporting is like in practice. As a business provider, I’m sure they’d listen to sensible business-focussed requests. Note that the rules of personal and business credit cards are different. Business credit cards can and will be charged a significant fee for HMRC payments. I use personal cards for a Ltd company. There’s no real issues. The funds just go through the director loan account.